Namban Byobu are painted folding screens that depict Westerners arriving at Japanese shores. In recent years, there has been a growing trend towards seeing them not merely as works of art, but also as historical materials containing realistic depictions of historical events and objects. However, the reliability of such visual information remains a considerable subject of debate. Furthermore, since most existing research has focused on depictions of human figures, merchandise, and the Portuguese silk trading ship, buildings--especially Christian churches--have remained largely unexplored. This talk will present the results of a comparative analysis of five screens and one folding fan from an architectural and urban history perspective. With the help of a 3D digital recreation of Nagasaki's topography during the 16th century as well as textual materials, one can ascertain the overall degree of reliability of each painting, and clarify the general characteristics of Jesuit churches in Japan. This analysis also provides clues regarding how medieval-period illustrated scrolls (emaki) and Buddhist mandala paintings acted as iconographical sources, strongly influencing the representations of Jesuit buildings in these paintings. 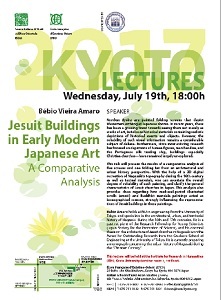 Bébio Amaro holds a PhD in engineering from the University of Tokyo, and specializes in the architectural, urban, and territorial history of Nagasaki during the 16th and 17th centuries. 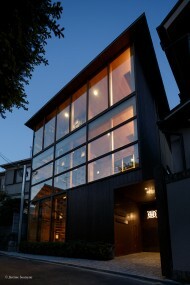 He is a past recipient of the Research Fellowship for Young Scientists (Japan Society for the Promotion of Science), and his doctoral thesis on the architecture of Jesuit churches in Nagasaki won the Award for Outstanding Research from the Graduate School of Engineering at the University of Tokyo. He is currently preparing a monograph concerning the urban history of Nagasaki during the “Christian Century”. This lecture will be held at the Institute for Research in Humanities (IRH), Kyoto University (seminar room 1, 1st floor).